Victoire models a new version of the Pirouette fashion, but this one reminds me more of the antics that go on at the Moulin Rouge, rather than the ballet at the Opera Garnier, so I named it Can Can. The classic combination of black and red combine to make a truly Parisian fashion (not to mention the Eiffel Towers embroidered into the lace). The lace is black tulle embroidered with red and random crystals add sparkle. 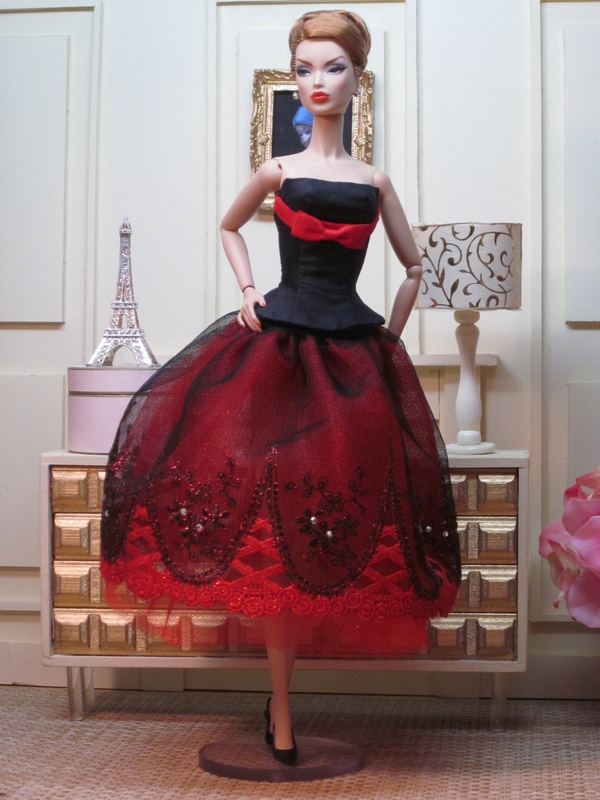 Multiple layers of sparkly scalloped red tulle fill out the skirt. 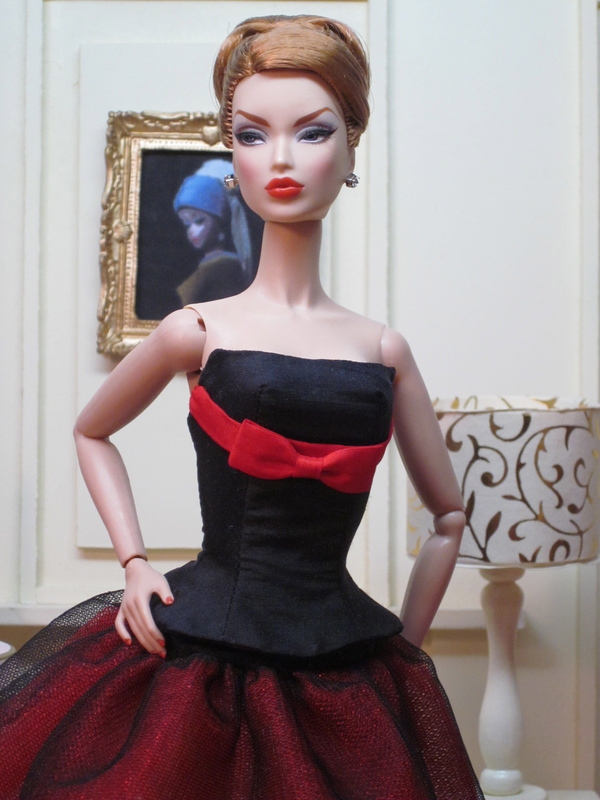 A strapless black silk corset top with a red silk band and bow highlights the bust line. Thank you, darling! I was so excited when I saw the Eiffel towers! More lace to love and this one is over the top gorgeous Hilda. Hilda, I think this is one of the most beautiful creations you have crafted! I absolutely love it! I rejoined the Fashion Royalty Club this year, so I am finally re-entering my collecting and dressing mode. I can’t wait to start placing orders with you again! Hilda, I can’t stand it. I sent you an email to order! Thank you, Lorrie. I am so glad that you like it.